119265_06 ANZAC day dawn service. Pic of Roger Isherwood OAM-Burnside Retirement Village. THOUSANDS of people across Melbourne’s West paid tribute to our fallen service men and women last week as Dawn Services were held across the country. As the sun seeped through the morning sky, crowds descended upon memorial sites to remember those who have given their lives in service of the nation. They also remembered those who continue to be deployed in different parts of the globe. 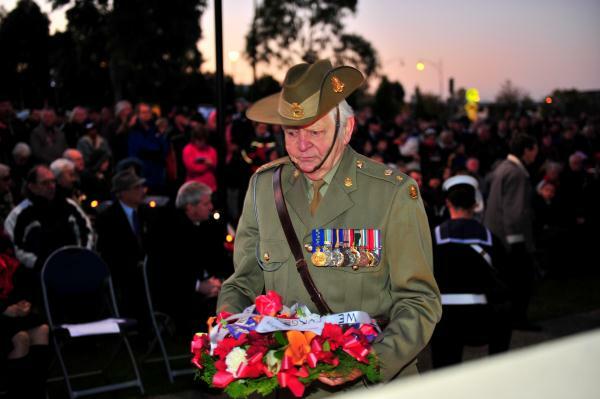 It was a time for all – young and old – to remember the Anzac spirit. The Dawn Services were followed by gunshot breakfasts where mates and their families gathered to enjoy a meal and drink together.